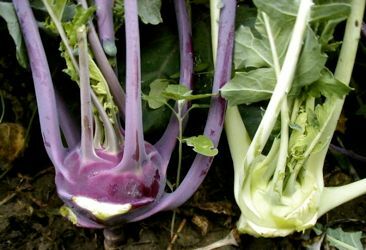 Peel the kohlrabi and cute them into julienne strips. Cook in the water for about 5 minutes, then drain and replace in the saucepan. Add the cream and pepper to taste and cover. Cook over a low heat for 5 minutes more, uncover and continue cooking until most of the cream has evaporated. Add the parsley, mix well, arrange on a platter and serve immediately.